With the same straightforward tone that catapulted her to national attention when she wrote a public letter addressing the sexist comments of Abercrombie & Fitch’s CEO, Jes shares personal experiences along with in-depth research in a way that is approachable, digestible, and empowering. 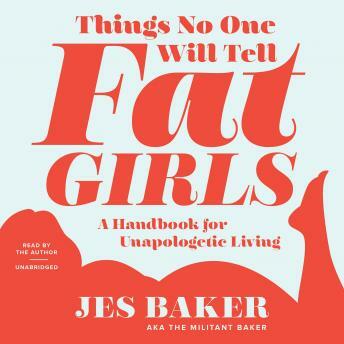 Featuring notable guest authors, Things No One Will Tell Fat Girls is an invitation for all women to reject fat prejudice, learn to love their bodies, and join one of the most progressive and life-changing revolutions in the world. Great book and read by the author! Loved it and highly recommend it.